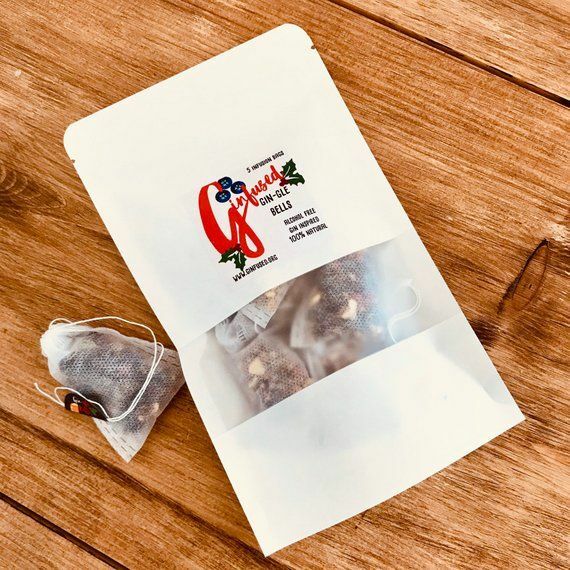 Ginfused Pack of 5 Ginkiss - Rose & Hibiscus. Pack of 5. 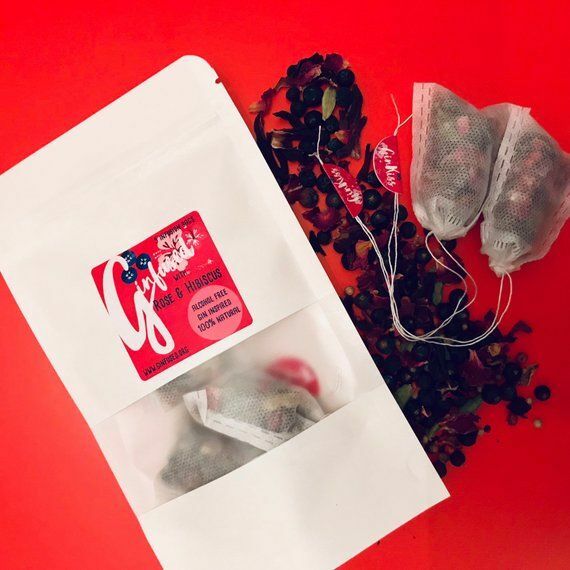 Gin-Gle Bells winter warming infusion. Pack of 5. 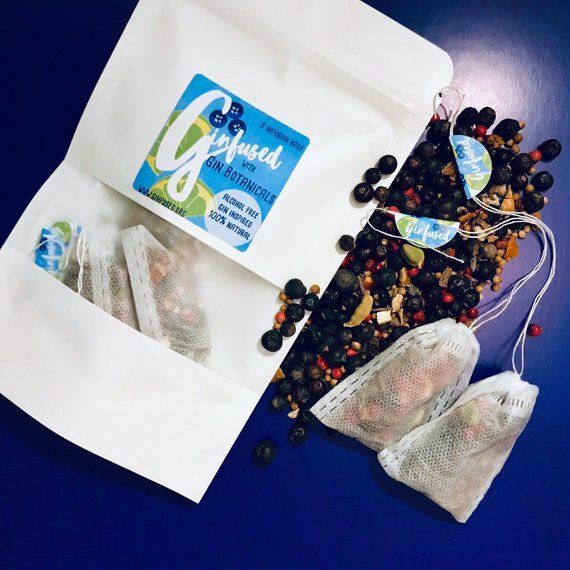 Introducing Ginfused, the gin-flavoured botanical infusion bags!